OSHA announced today that it has issued a final rule eliminating the requirement for establishments with 250 or more employees to electronically submit information from the OSHA Form 300 (Log of Work-Related Injuries and Illnesses) and OSHA Form 301 (Injury and Illness Incident Report). Covered establishments—establishments with 250 or more employees that are required to keep injury and illness records, and establishments with 20 to 249 employees in designated high-hazard industries—will still be required to submit information from Form 300A (Summary of Work-Related Injuries and Illnesses) each year. The change was proposed in July 2018; the Final Rule is scheduled to be published in the Federal Register on January 25. OSHA estimates that the change will save $16 million annually; the action is considered deregulatory under Executive Order 13771. OSHA emphasized that employers required to keep injury and illness records are still required to maintain OSHA 300 Logs and 301 incident reports on-site; the Final Rule eliminates only the requirement to submit data from these forms to OSHA electronically. The Final Rule also adds a requirement for all establishments subject to the electronic recordkeeping requirements to include their Employer Identification Number (EIN) with their Form 300A submissions. 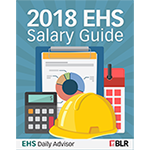 According to OSHA, the inclusion of the EIN will make the submitted data more useful for OSHA and the Bureau of Labor Statistic (BLS) and could reduce duplicative reporting burdens. The compliance date for the EIN requirement is March 2, 2020. Therefore, the EIN will be required for establishments submitting their 300A data from 2019, but not for establishments submitting their 300A data from 2018. The requirement for covered establishments to submit data from OSHA 300 Logs and OSHA 301 incident reports, while included in the 2016 Final Rule titled Improve Tracking of Workplace Injuries and Illnesses, was never enforced. The initial deadline for employers to submit this information was July 1, 2018, but OSHA’s online Injury Tracking Application was not set up to accept the data by that date. On July 30, 2018, the agency issued a Notice of Proposed Rulemaking (NPRM) announcing its intention to remove the requirement for the submission of Form 300 and 301 data and stating that it would not collect the data while rulemaking was ongoing. In contrast, OSHA has been actively collecting 300A data electronically since 2017. Data covering calendar year 2016 was due to OSHA by December 15, 2017, and data covering calendar year 2017 was due by July 1, 2018. OSHA has already used this data in its enforcement efforts: the agency launched its Site-Specific Targeting 2016 Program in October 2018, which used information submitted by employers for calendar year 2016 to identify establishments for planned inspections. Employers required to submit injury and illness recordkeeping information electronically are required to submit data from Form 300A covering calendar year 2018 by March 2, 2019. Form 300A must also be posted in the workplace in a prominent location for employee viewing from February 1 to April 30 each year.